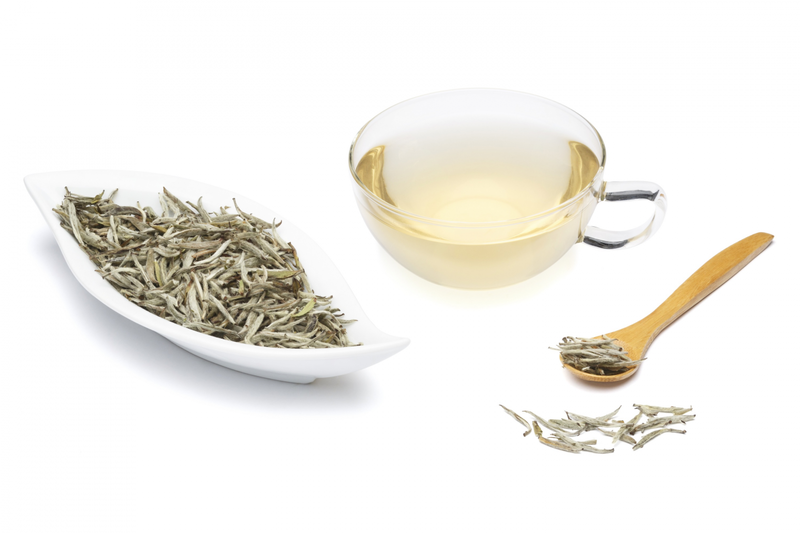 White tea is known to be one of the most subtle tea varieties because it is so minimally processed. Some are covered with fine white hairs, hence the name “white” tea. These buds and unfurled leaves from the newest growth on the tea plant are handpicked and then quickly and meticulously dried. The leaves are not allowed to oxidize as long as leaves plucked for green or black tea production. This minimal processing and low oxidation results in some of the most delicate and freshest tea available.Shop online for white teas sourced directly from the artisan tea masters. Varieties include Silver Needle, White Peony and other gourmet teas. White tea is the most subtle of all tea types, using only the finest leaves from each tea bush with minimal amount of processing. White tea contains high amounts of antioxidants and shares many chemical compounds and health benefits with green tea.